SANTIAGO (Reuters) - Global copper producers are converging in Chile this week as tightening supply buoys prices, even as the industry grapples with declining ore quality, project delays and worries the U.S-China trade war may hit long-term demand. Despite these challenges, the industry is planning for substantial growth in the next decade thanks to an expected boom in production of electric vehicles, which use twice as much copper as internal combustion engines. Automakers are vowing to produce all-electric fleets. With all that in mind, hundreds of investors, executives, analysts and regulators are gathering in Santiago, the Chilean capital, for the annual World Copper Conference. “From a numbers perspective we have a deficit in copper, and it’s expected to be a tighter market in 2019 relative to last year,” said Eleni Joannides, a copper market analyst at consultancy Wood Mackenzie. Relatively upbeat commodity prices since January have lifted producers such as Freeport-McMoRan Inc, Antofagasta Plc, BHP and Anglo American Plc out of the doldrums and presented them with a new problem: the hunt for high-quality assets at a time of geo-political uncertainty. 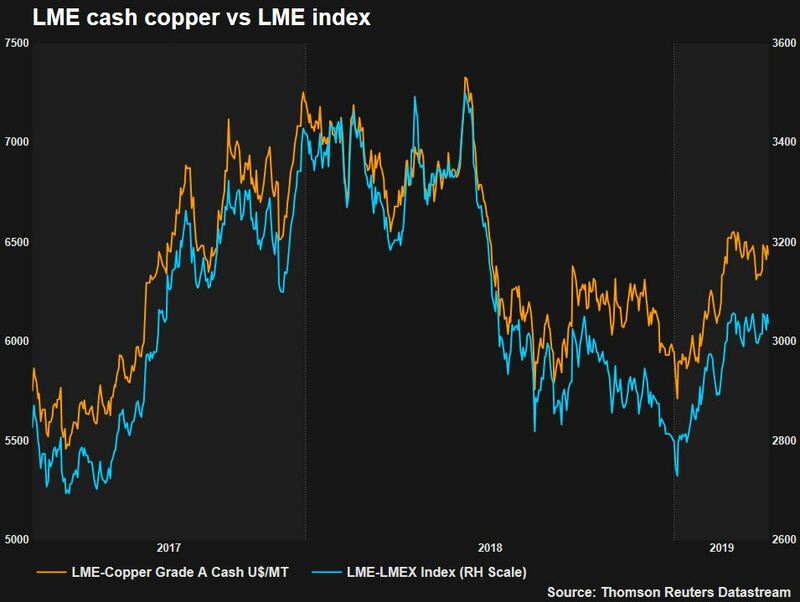 LME cash copper is expected to average $6,397 a tonne this year, a Reuters poll of 30 analysts shows, slightly lower than $6,437 on Friday. “I think we’re heading into a bull market for copper,” said Jefferies mining analyst Christopher LaFemina. A lack of new supply and steady demand this year for the metal, widely used in power and construction, should keep the 25-million-tonne market in a slight deficit and support prices, analysts said. The industry is moving to bring new supply online, but it will take time. Freeport, the world’s largest publicly traded copper producer, cut its 2019 output forecast at Indonesia’s Grasberg mines by more than half as it transitions to underground operations, a costly process that will take years.